We are a personal collection of small lifestyle hotels and restaurants within two groups – Lime Wood Group and Home Grown Hotels, where our focus is on authenticity and informality of design, food and service. Starting in 2009 with the opening of Lime Wood, New Forest, we set about creating something a little bit different. We want our guests to feel at home wherever they are, from the peaceful New Forest, to the breathtaking mountain scenery of Courchevel Moriond, France, and the stunning beaches of Studland Bay in Dorset. We are committed to doing the little things brilliantly. Boutique hoteliers with decades of experience behind us and an obsessive commitment to what we believe in. Home-grown in every way, hands on and passionate about being different within our space and for all aspects of the craft of hospitality. The Lime Wood Group hotels include our five-star flagship Lime Wood, which probably sits within the top handful of today’s country house hotels, and our mountain retreat ski-in, ski-out hotel – Portetta in the French Alps at Courchevel Moriond (1650) which adds an exciting European Dimension to group. 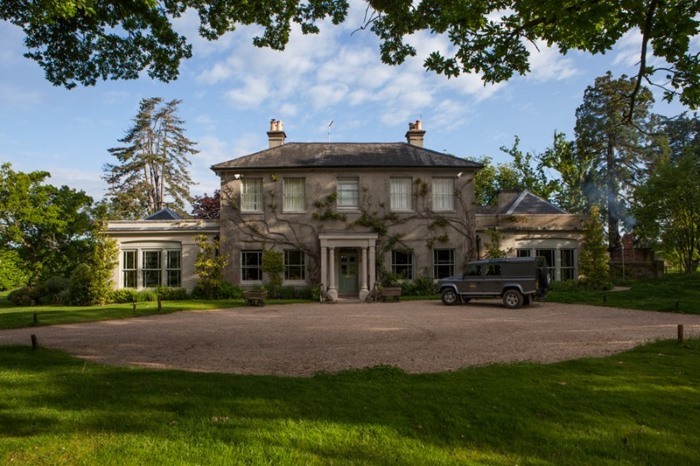 Lime Wood, a boutique country house, is set in the heart of the New Forest National Park, Hampshire. It’s the perfect hideaway in an ancient forest…a bolt hole that’s easy to get to but hard to leave. Laid-back 5* luxury at its best, with Chefs Angela Hartnett and Luke Holder at the helm of the kitchen and an award winning wellness spa in the grounds. Nearly 10 years on we are now firmly established as one of the ultimate countryside getaways with recognised national awards under our belt, renowned chefs at the helm of our restaurant, and our own lifestyle magazine. 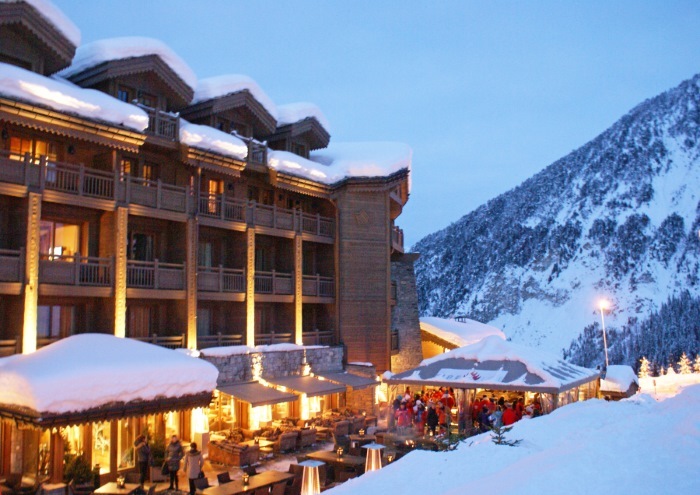 Situated in prime position at the foot of the slopes of Courchevel Moriond (1650), Portetta Hotel and Portetta Lofts are the perfect base for the ultimate ski experience. Accredited with a French 4 star rating, our family friendly, ski-in ski-out hotel offers 38 luxuriously cosy rooms all overlooking either the piste or the mountain, as well as six stylish fully-equipped duplex lofts on the top two floors which have balconies, open log fires and stunning views over Courchevel Moriond and beyond. Inviting fire places, settle-in sofas and impeccable service, Portetta has an individual charm that brings our guests back time and time again. The rustic oak interiors are warm and intimate; the perfect mountain retreat. THE PIGs are really restaurants with rooms and kitchen gardens. The concept was created in 2011 with THE PIG, Brockenhurst and our litter now consists of five hotels with the latest additions of THE PIG- in the wall, THE PIG- near Bath, THE PIG- on the beach and THE PIG- at Combe joining the original, with every expectation of more to follow soon. Each hotel has its own personality and sense of self. Each evolved rather than interior designed, with laid-back warm service, and a genuine commitment to environmental and social responsibility. With an obsessive commitment to home grown and local produce, THE PIGs celebrate the seasons and use only the best, freshest and most authentic foods and ingredients. It is all about our kitchen gardens, they are the beating heart of each operation…everything is driven by the gardener/forager and chef – they grow and find the food – the chef then creates the menu; uncomplicated and simple British garden food, true to the micro seasons with the emphasis squarely on fresh, clean flavours. From seed to plate is crucial to who we are, and what we can’t grow ourselves, we source from within 25 miles. We actively avoid ingredients that are not local! We aim to deliver an outstanding experience for every guest; a ‘wow’ moment that surprises and delights for a price that won’t break the bank; sensibly priced accommodation and food served in an intelligent way without too many rules. You may have heard that we have three new PIGs on their way! The diggers and dumper trucks have arrived in the village of Bridge, near Canterbury in Kent, to begin renovations on THE PIG-at Bridge place, due to open in Spring 2019. Subject to fair winds, another two sites in Cornwall and Sussex will follow in 2019/20.